Firefighters work to extinguish a blaze Sunday at Evergreen Terrace Apartments in Carbondale. 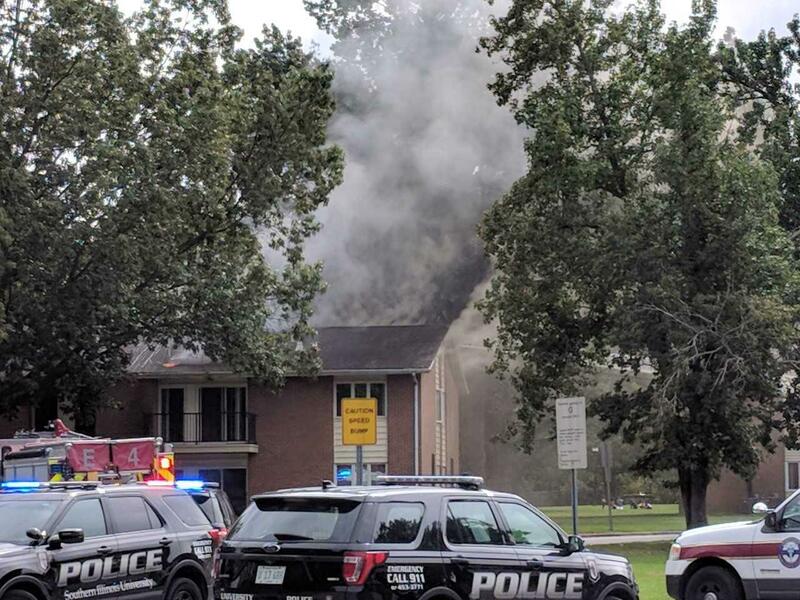 Fourteen SIU-Carbondale students are moving out of one of the school's housing units after a Sunday afternoon fire. The fire at Evergreen Terrace on Pleasant Hill Road damaged apartments in the building including one belonging to Alma Alcala, a junior in Dental Hygiene. She is having to move out. Seven students were moved immediately to other apartments in Evergreen Terrace. The other seven, including Alcala, are being allowed to move as well. It appears the fire may have originated in the building's attic.